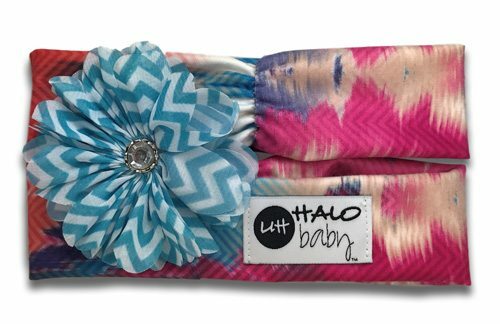 Halo Baby headbands are made from the same buttery soft fabric as the signature, solid and iron styles. 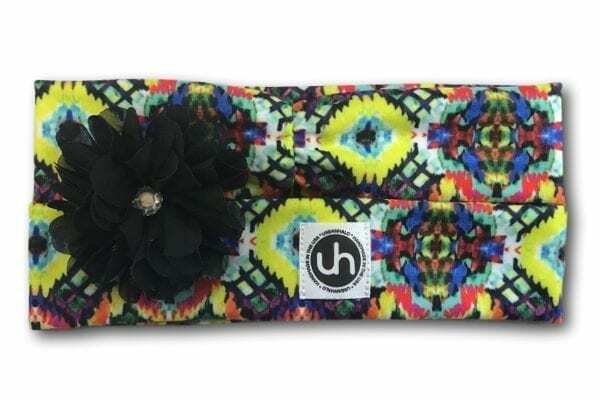 It comes with a detachable flower which can be worn on its own. 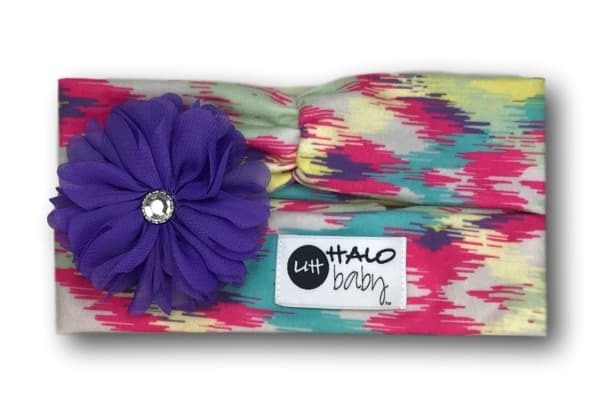 Halo Baby headbands are perfect for the little ones in your life from newborn until approximately age six. 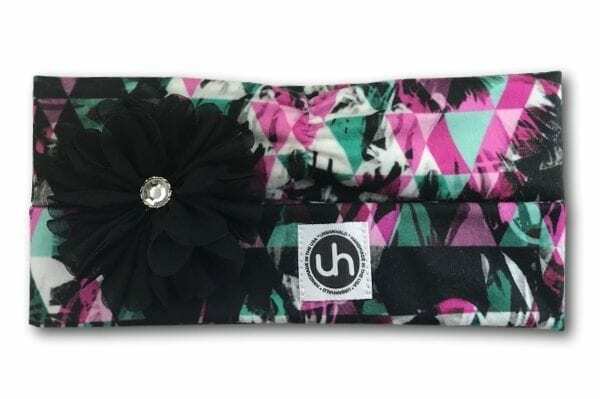 Headbands can be worn wide, narrow or scrunched depending on your preference and will stay in place on your little one’s cranium. Our lightweight fabric is super soft and stretchy. So it stays in place and won’t bunch or pinch those cute little craniums. For optimal wear, we recommend you hand wash in cool and lie flat to dry.